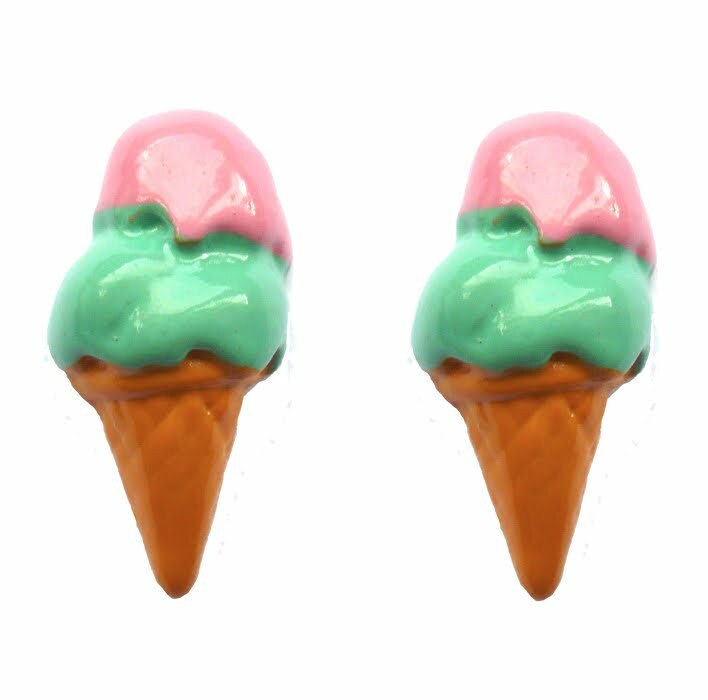 The lovely people over at Love, Hearts and Crosses have offered me the opportunity to give 3 of my gorgeous readers the chance to win a pair of their beautiful ice cream parlour earrings! There are 3 different types up for grabs, the Lolly, the Double Scoop & the Triple Scoop Cherry worth £6 each! There will be 3 winners in total, the first winner will get to pick their choice of earring, then the 2nd winner their choice..etc! All you have to do is comment below stating your favourite type of ice cream, with your email address so i can contact you if you win! This giveaway is international so open to everyone, even if you follow my blog or not! Good luck girlies, these earrings are gorgeous & i may just have to pick a pair up for myself! My favourite flavour is strawberry and chocolote mixed together =D. Hehe. i loveeeee ice cream so much, i have such a sweet tooth. theres too many to pick from but at the moment im loving strawberry cheesecake flavour yumyum! Cute earrings! My favourite ice cream has got to be mango sorbet, it's so refreshing. 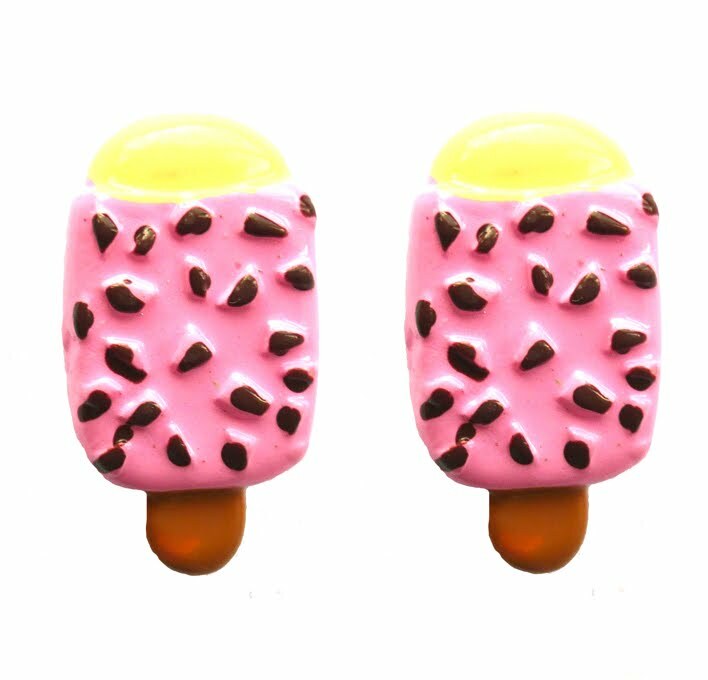 What cute earrings! My favorite ice cream is probably cookie dough, or a chocolate and vanilla soft serve with rainbow sprinkles! My favorite ice cream are mocha and cookie dough. :3 but if i were to choose only one, i'd go for cookie dough. Just had a mooch around their site & love their stuff, definitely going to add some stuff to my collection! My fave ice cream is rasperry ripple, or a magnum, I can never turn down a Magnum! I <3333 green tea ice cream! Oh wow these are so cute! favourite type of ice cream: Has to be the cherry one ben and jerrys do ...love it!!! Cookies and Cream! Not too original, but I love love love it! Cookie dough :) yum, you've got me thinking about ice cream now! My favorite ice cream flavor would have to be GREEN TEA! So yummy in my tummy! I love loads of flavours but if I had to have just one forever, it'd be just plain vanilla! I love cheesecake ice cream! They are sooo kitsch! My fave ice cream is probably cookie dough, i always dig out the dough bits though. Wow those earrings are the cutest! My fave ice cream is rocky road! Cute earrings.i would love to win them for my baby girl. my favorite icecream is butterscotch. all of those earrings are so cute! my favorite ice cream (combo) is chocolate ice cream with whipped cream and reese's pieces... mmmm. but if it's just ONE flavor (and no toppings) it's mint chocolate chip!!! My fave ice cream is mint chocolate. Nice giveaway! My favourtite ice creams are the ones you get from thorntons, chocolate with a chocolate stick in a chocolate wafer cone. Yumm! Can you tell I am a chocoholic?! I assumer u mean it ends on 17th july, not june? Oh, I usually stick to just plain chocolate.. boring eh? Those earrings are super cute too. I can't resist a bit of praline and caramel in my ice cream - yum! i know its very boring but Mint Choc Chip , i love anything mint! ooo Those earrings are loove!! Ok, I really love ice cream and my favourite has to be chocolate praline and cookies! I love peach ice-cream! Difficult to get where I live but when I can get it I am thrilled!! oooh, i looove ice cream so much, which is my favourite?! Mr whippy Lemon Sorbet Swirl with crushed nuts on top (: mmmm. OMG! this is right up my street! Ice cream is my favourite desert ever. I loooooove ice cream! It was really hard to decide on a favourite, but i'm going to have to go with Ben and Jerry's Cookie Dough ice cream! Fab giveaway! My favourite ice cream flavour has to be raspbery ripple! I love pistachio soft serve! My favorite is chocolate or sticky toffee pudding. My favorite ice cream is Cherry with Chocolate Chip! My fave is Anything by ben & jerrys!! my favorite ice cream is peanut butter! email guccivive7@yahoo.com, thanks xoxoxox. My favorite ice cream flavor is strawberry! Those earrings are adorable! My favorite ice cream is Dippin' Dots Banana Split. I'm not sure if the Dippin' Dots brand is international or not, but it's absolutely delicious! My favorite ice cream is Dreyer's Mint Chocolate Chip. It's been my favorite since I was kid! Awesome giveaway! 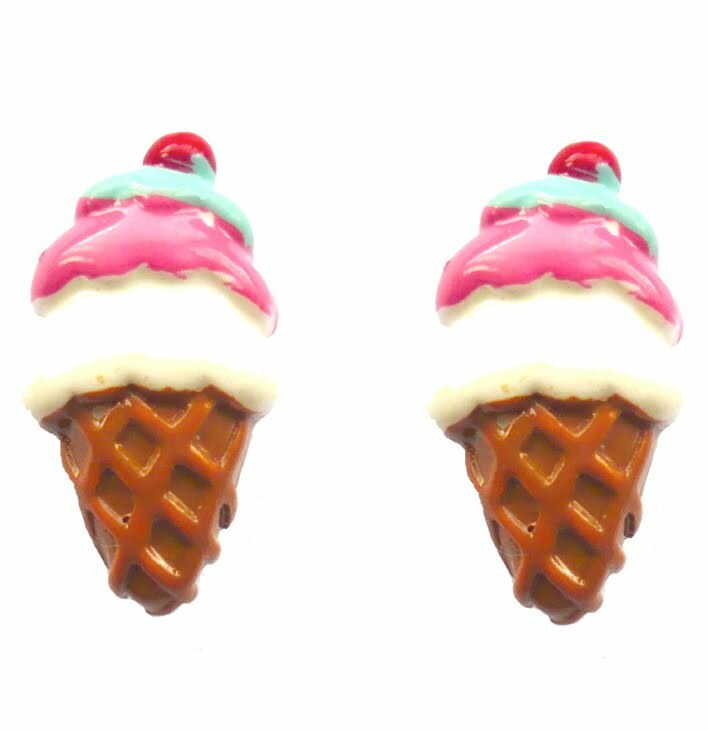 I love ice creams and those earrings are lovely. My favorite ice cream is chocolate. Ben and jerrys chew chew ice cream! Yum! ah really cool giveaway, i'm entering on behalf of my gf. my fav ice cream is without a doubt mint choc chic. so refreshing! I lalalalove coffee flavored ice cream & strawberry ice cream, but not together though! However, i do like strawberry + chocolate together delicious stuff! I am so boring! My fav is just plain vanilla but i love having different sauces on it - raspberry, choc, toffee yum yum! !